When the team and I set out to create 27WON for the 21st century Honda enthusiast we wanted to do more than just make high quality new parts and provide excellent customer service. We set out to REDEFINE all aspects of the customer experience. From the website to the packaging, we looked at everything and asked ourselves how can we do this better? One thing we looked to change was installation instructions. I know that doesn’t sound very exciting but please allow me to explain. How many of you like crisp clean detail to make sure you get the job done right the first time? Are you brand new to aftermarket modification? How many of you just hate it when you get your awesome new part, need help with installation only to find out you got super vague black and white paper instructions? You know the type. They come stapled and just thrown into a box. Pretty frustrating right? We think so to and that is why we decided to REDEFINE installation instructions. Allow me to introduce you to Dozuki. The interactive mobile app chosen for 27WON’s installation instructions. Check out our high resolution photos, laid out in a clear and easy to follow guide. You get a full detailed tools list. Each step is color coded and fully organized and sits in the palm of your hand. You get free unlimited access to our installation instructions all the time. You can review them before you buy browsing our app. 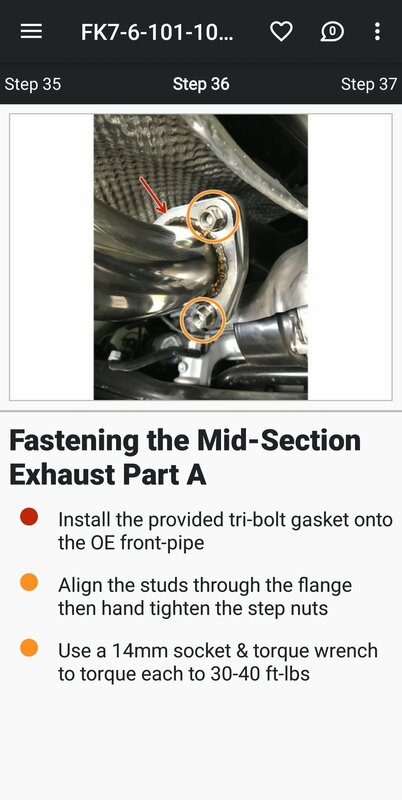 Rich in detail, easy to read, and filled with all the correct torque specs; every install with Dozuki will make you feel like we are right there beside you walking you through it. Whether you are an absolute beginner or a seasoned veteran our installation instructions will make sure the installation of your new 27WON parts go off without a hitch. Be sure to give them a try with your next install and let us know what you think in the comments below.